Ladies and gentlemen, I present to you today a few homemade cards that have made the cut recently. 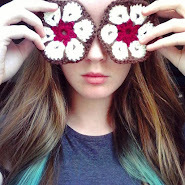 I had a little stock-up of crafty things just after christmas. Such things I have never owned before, like stamps and various pretty papers. Firstly something that's not technically a card but an envelope. 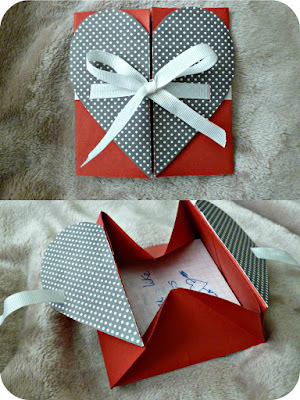 When you undo the bow and pull the two heart halves apart, it opens out like a box! It doesn't have to be a heart of course, you could cut the flaps into any shape you like. Inside is a list for the mister: "52 reasons why (insert name here) is actually quite good." Because, you know, if you've just given someone a heart envelope then you can't make the title too soppy. Here is the YouTube tutorial that I used to make this. Just add extra frontal card pieces, trim down the flaps, and add the ribbon at the end! My uni friends and I don't usually exchange cards, but my favourite couple gave me and the mister one so I had to fix the slight awkwardness. 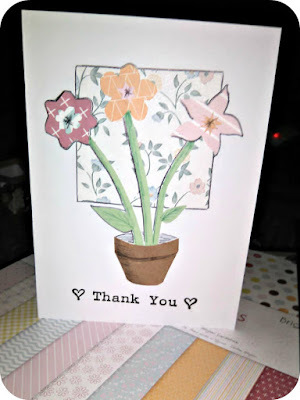 I'm very proud of this little card and I got to use my stamps for the first time. There's a Sharpie dinosaur because what's more Christmas-y than that? Also we used to doodle them all over each other's paper. 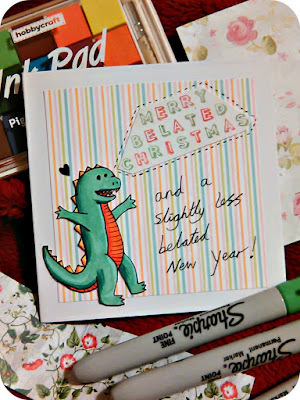 Next we have a card I sent to my mum in the hope of receiving some post back to make me feel all special. She'd sent me a flip calendar with pictures from my childhood on that was very sweet. It also doubled as a "thanks for feeding me so much free food over christmas" card. A cute collage panda, googly eyes, what more could you ask for? I'm sure hippos would eat cake. Oh no, that's not great. The only difference is that at the end I stuck the half-heart shapes onto the rectangular opening flaps and then trimmed them down to size and added the ribbon.